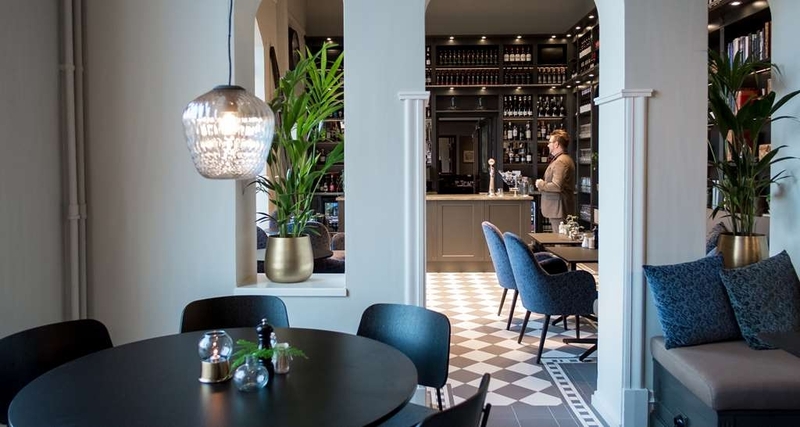 Il Best Western Plus Grand Hotel è situato nel centro di Halmstad. L'hotel è vicino alle principali attrazioni turistiche. Approfittate tutto l'anno del miglior prezzo garantito e di offerte esclusive. Il Best Western Plus® Grand Hotel è situato in posizione centrale accanto alla stazione ferroviaria principale e vicino a negozi e ristoranti. L'hotel fornisce sia ai viaggiatori d'affari sia ai turisti ottimi servizi prestati da un personale multilingue, una vasta gamma di attività e 114 comode camere con accesso wireless a Internet gratuito. 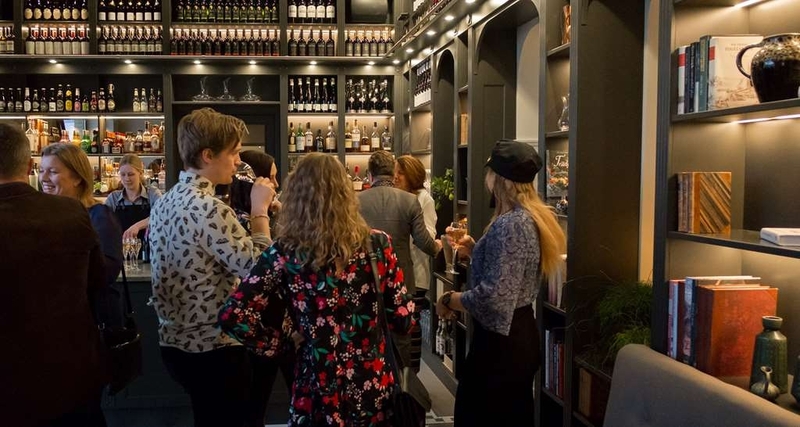 Il bar dell'hotel offre l'opportunità di rilassarsi con una bevanda fredda o di cenare nell'accogliente ristorante che offre una gamma completa di pasti, da una ricca colazione a buffet ai pranzi e alle cene preparate con cura. quando la stagione lo permette, poi, è aperto anche il giardino con la sua ampia terrazza soleggiata. L'area conferenze offre sale meeting, spazio relax e servizio accogliente personalizzato. Nella hall si può controllare gratuitamente la posta elettronica. 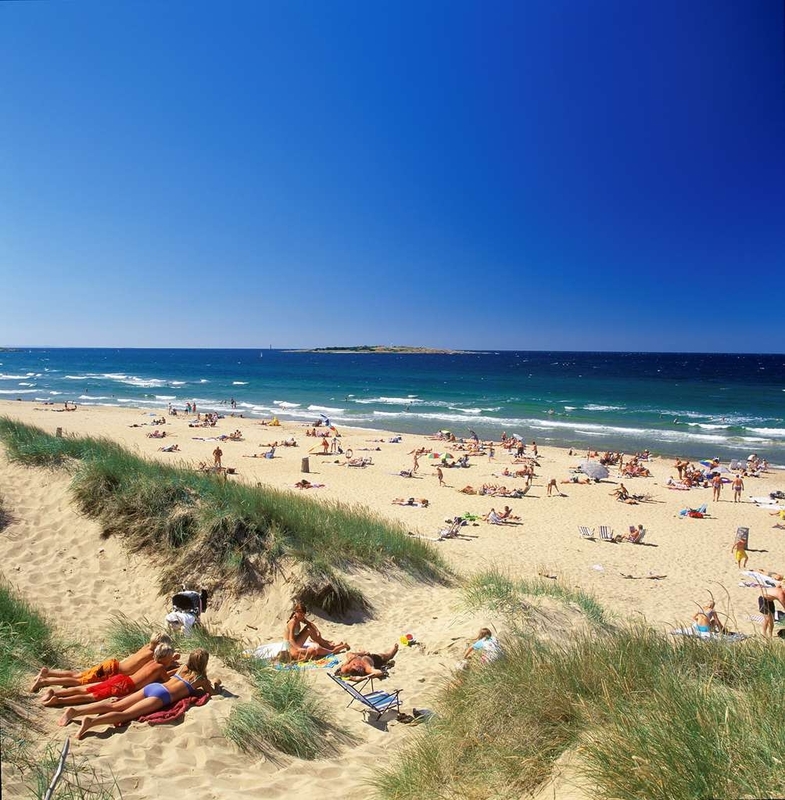 C'è tanto da fare e da vedere a Halmstad, come i bei negozi e la vita notturna, le splendide spiagge e, nel raggio di 15 chilometri, otto eccellenti campi da golf, tutti partner dell'hotel. L'hotel non gestisce denaro contante ma accetta sia le carte di credito, sia le carte di debito. "Amazing stay at the Grand"
I loved this hotel, we pushed the boat out and got the suite and it was definitely worth it. Beautiful room, great view over the train station , the kids just loved it. We also had dinner at the hotel and it was delicious and very reasonably priced. 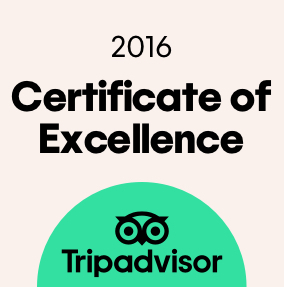 The staff was super friendly and helpful, our only regret was that we only booked one night. We will most definately come back. 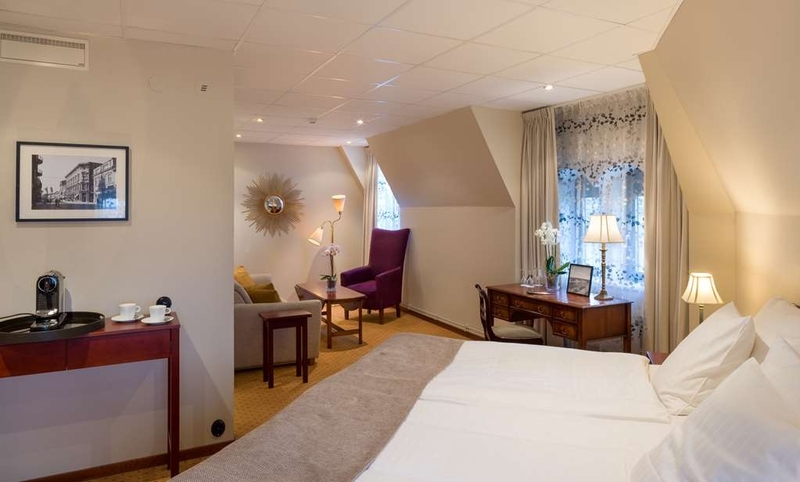 Grand is a very nice hotel in the center of Halmstad and the rooms are comfortable and the staff is helpful and friendly. This time I had a rather small room but even though very nice. There is many hotels in Halmstad center and I have tried most of them but this is one I will come back to again. The hotel as placed right next to the railway station. Not just a ordinary one, but a huge hub with heavy freight trains. The hotel has probably been a star once upon a time, but now it need to be updated. We stayed in a suite where the toilet lock was broken and we had to use a bottleopener to help get people out of the locked toilet. The hotel gave us a 25% discount at departure as a compensation. The restaurant is good though and the prices are reasonable. The price for the suite was low, so I guess you get what you pay for. 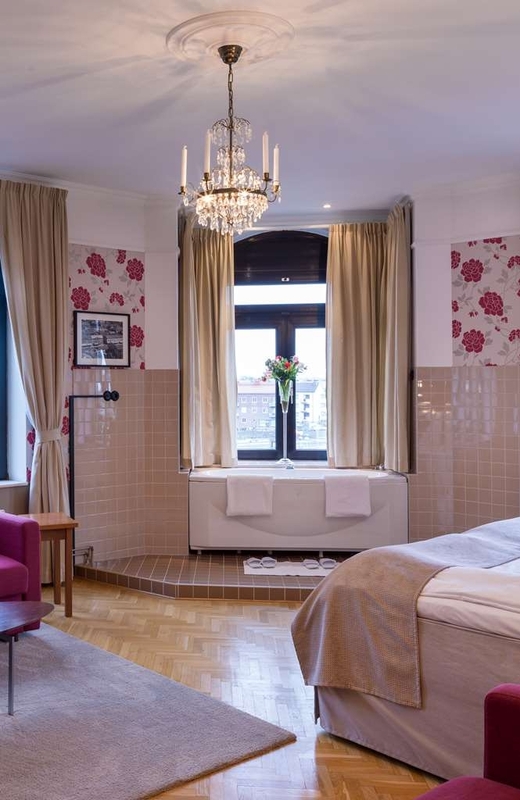 "Best Western Plus Grand Hotel, Halmstad Sweden"
Best Western Plus Grand Hotel, Halmstad Sweden is one of the best hotels we've stayed in. Historic building charm with modern facilities. Excellent location downtown, across from train station, close to restaurants and shops. Hotel services and Front Office staff were always pleasant, friendly, helpful & knowledgeable. Rooms were super clean, well equipped & furnished. Very comfortable beds and pillows for a good night's sleep. Excellent breakfast and service. Kudos to the Management, thank you for a wonderful and memorable stay! J&M. "Great Hotel for a quick stay"
I recently stayed here for a business trip and I was very happy with the hotel. The staff at the front desk were always helpful, especially since I didn't know a lick of Swedish. The hotel was very easy to find after getting off the train. It was located within walking distance of the town square, and there is a bus terminal right next to the train station. The room was cozy, it was two twin beds pushed together. Easy access to a water dispenser made everything nicer. The tv had the ability to be in English or Swedish, and had a Netflix app on it. Room and bathroom were clean. The bathroom also had a heated floor which was super awesome. The breakfast was a slightly basic European style, which was to be expected. Cold-cuts, eggs, and yogurt. They had most items listed in Swedish and English, which was nice. My only drawbacks were the WiFi had issues for two nights, so even like Netflix on the tv didn't work properly. And also the room was a little too warm for my comfort, but I dealt with it. I'm sure I'll stay at this hotel again for future business trips, and I would happily do so. "Perfect hotel on a short business trip"
Stayed for two nights. Arrived very late...warm reception, and hot tea and biscuits available in lobby. Clean and comfy room. Good Wi-Fi. Excellent range of breakfast food. 10 minute walk to supermarket. Across road from rail station. "Like a hotel should be like"
Grand Hotel is just opposite the railway station in a quite neighborhood. 13 min to the university college and about the same to the city. Large light room with a very comfortable large bed. Good variety breakfast. 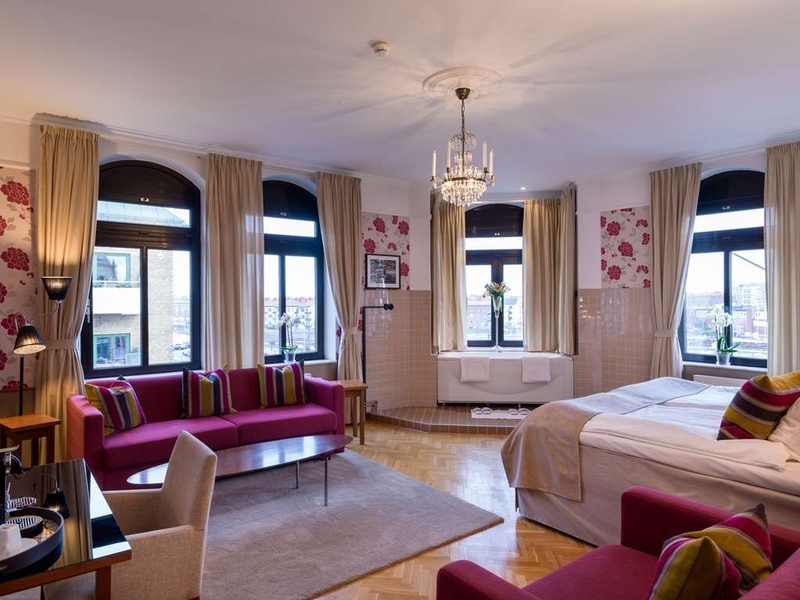 "Historic spot next to central station "
The grand hotel is a historic spot which offers a amazing atmosphere. Feels thrown back 100 years in the past. 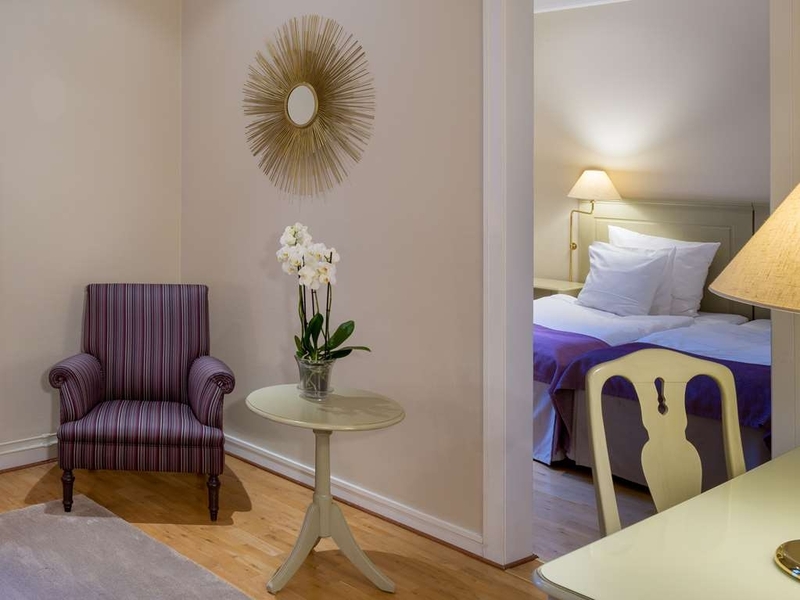 The rooms and the restaurant are newly renovated. High glass food for diner and a extensive breakfast buffet. Only 10 min walkway to Halmstad downtown. 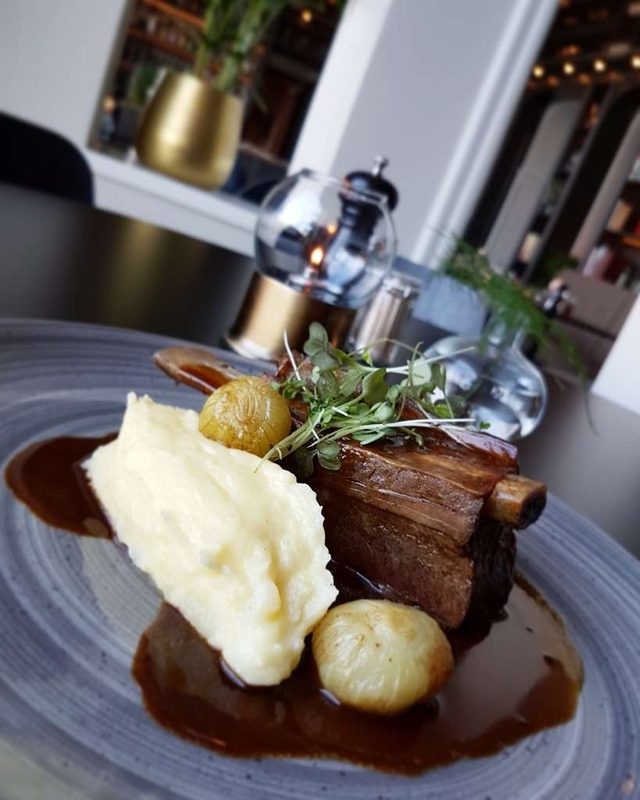 The hotels location is great - right beside the train station, near the beach and the sea but close to the town of Halmstad too. The rooms are nice with comfortable beds and good storage space. The shower in our room was great too - nice water pressure and a choice of shower heads. Food was solid with a good selection for breakfast. Nearby are plenty of cafes and I also found a gym just 5 minutes walk away if fitness is your thing. Free WiFi also. What makes this place stand out for me though is the staff. They are incredibly nice and accommodating in every way they can be. They are polite, friendly, well trained - a credit to their employer. I'd recommend the Grand to everyone! Horrible room hygiene. I had to clean bathroom and room facilities myself with antibacterial wipes and they were dirty! Dirty towels. I had to buy a new towel at local supermarket. I found someone else's hair on the blankets and chair. Dirty sink with toothpaste remains on the faucet. Noisy street outside with homeless people not far from here. Would recommend only for people with low standards. Nice and warm hotel to stay in Halmstad. Located very close to city center, ca. 10 min walk. In the hotel you can find the restaurant. Unfortunately I haven't tried it as it was closed on Sunday but in case of breakfast there were a lot of food you can choose. All fresh and tasty. Floor heating in the bathrooms. Stayed in a twin room with my sister for two nights - she has stayed before and recommended it. The room was lovely and big and very clean with very comfortable beds. It is a lovely hotel with very friendly staff. The breakfast in the morning was brilliant with lots of choice. It is very close to the town centre - about 5-10 minute walk. I hired a car and although the hotel does not have parking there is a car park right next to it which you have to pay for, but there is an app you can download and only pay for whilst at the hotel - it is free after 6pm. I will definitely be going back. "Stop-over on our way to Norway"
We slept here for one night. The hotel is very close to the railway station. We arrived by car, and it was easy to find a parking place. The hotel is moderately renovated preserving the old style, which we found to be nice. The room was of a nice size, the beds very comfortable and it was very quiet. We had a simple but OK dinner (the restaurant was closed for renovation) and we also had a n ice breakfast. We can only recommend the hotel. The service was very good and the wifi worked fine. "Nice hotel, big rooms, close to amenities"
I stayed there only one night but I had a good experience. The hotel is in an old building, you can see some original materials. It is part of the charm. The service at the reception and restaurant is very friendly. I had a burger at the restaurant with sweet potatoes fries! It was very tasty and the fries nice and crispy. The breakfast was as good, they had served in a very cute wait different choice for breakfast, coffee, tea, scrambled eggs, bacon, diverse meat slice and veggies, bread, gluten free, muesli, yogurt and some other stuff. My room, not facing the train station was very quiet. "Good location near the trainstation"
Nice updated old hotel (built 1905) . Friendly staff. Good breakfast inclouded. We had a quiet room facing the courtyard and overlooking the rooftops. We had dinner at the restaurant twice and I can highly recommend it. very large room with a lot of daylight, comfortable bed, all very clean, good and clean sanitary tools, excellent breakfast, friendly staff.expensive but worth it.parking around corner is free until 9am. "Nice facilities in nice location"
I stayed here for two nights. The room looked nice and modern but was a bit small. There was no socket next to the bed, which always surprises me. I use my phone as an alarm clock and I like to charge it over night and I don't think I'm the only person doing that. I had both lunch and breakfast at the hotel and everything tasted good. The restaurant staff seemed a bit lost every now and then, but everyone was friendly. The hotel has conference rooms and I had a meeting in one of them. It was a nice and quiet room. Wifi worked great for everyone, both in the conference room and in the rest of the hotel. The hotel is right next to the railway station, which is great if you arrive or depart by train like me. The town center is a few hundred meters away, across the river, so if you want to go shopping or go to a restaurant, you'll start with a walk or a short taxi ride. "They are cashless and hopeless"
We arrive and offered an upgraded room for 100 extra kronor we ask why and told the room you have is a bit small. OK we say and I give her 100 Kronor and I'm told they don't take cash and that I had to pay with my credit card, reluctantly I did. My credit card charges me nearly that much in exchange rate and transaction fees, Off we go to our room. Wacko!! 12m/2 at the most but you can walk around the bed. Clean but very basic, no fridge etc. If it wasn't getting late we would have moved but I don't think we would have got a refund. We then go out for diner and on my return I buy a beer for 65 krona I hand over a 200 krona note and once again told we are cashless and if I paid I wouldn't get change. That was the last straw. I left the beer on the bar and went back to my room. I will never return and suggest you avoid it! 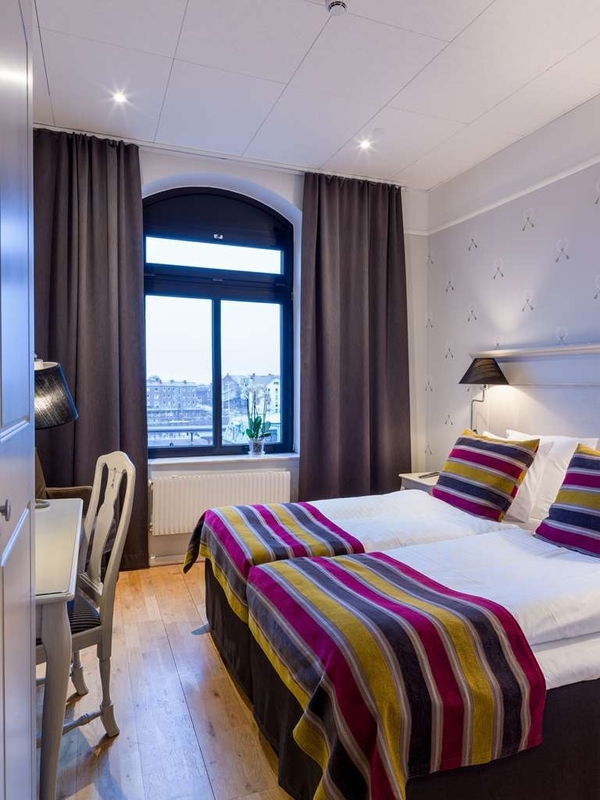 Location in front of train station side, near to city center, public parking car in front of hotel by 3 SEK/hour, good scandinavian breakfast, supermarket and several restaurants nearby. 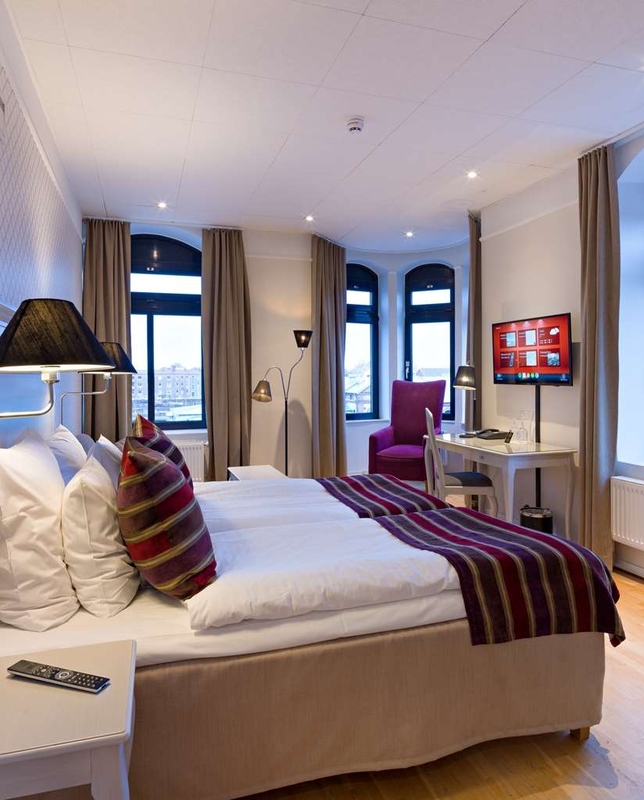 The hotel offers a 75 SEK voucher to Bestwestern members. "Charming hotel with a hint of sexism"
The hotel is perfectly adequate, though maybe a bit on the expensive side of what you get. I was greeted by a friendly receptionist and promptly made it to my room after a fairly scary elevator ride (don't miss that there are two elevators available, no need to wait for the one that everyone sees across from the reception - there's one behind it). I was surprised to see a fairly modernized hotel without outlets near the bed. Anyways, breakfast was all right, although I got there just before it was closing. And instead of starting to clean up all the dirty dishes that are everywhere, they started by taking away the food. A bit of backwards thinking if you ask me. But it was also during breakfast I experienced my biggest gripe with this hotel. Someone accidentally broke a plate and a male employee wouldn't do anything about saying it's women's work. Eventually he did pick up a broom and then started saying that obviously it's not a man that had invented this because it was working so poorly. There were also other derogatory comments. I don't care what happens behind closed doors but in the open during breakfast this kind of thing is not acceptable, and I can only imagine how they address female guests when they're out of earshot. Despite the hotel being good otherwise, this is something that will deter me as a customer and next time I might pick another hotel. Thank you so much for taking the time to evaluate your recent stay with us. I'm happy to hear that you overall had a pleasant stay. 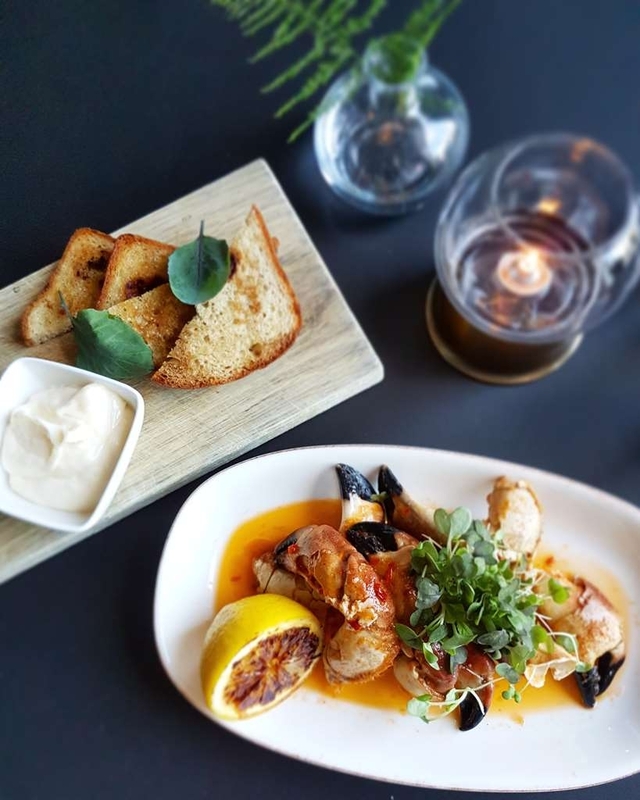 I have spoken to our restaurant manager, in regards to what you experienced in our restaurant, and he would very much like for you to contact him in person. Fredrik can be reached either via email: [email protected] or telephone +46 35 280 81 00. I do hope that we will see you as our guest again and wishing you a lovely summer. Warm Regards Johanna Almqvist, Reservations & Revenue. "great reception poor service at breakfast"
Visiting Halmstad for a funeral. We were greeted courteously and upgraded to a lovely room by the charming receptionist. The receptionists were very helpful and informative. The breakfast is a different story and incongruent with the hotels evident service ethic: we were not greeted or welcomed on any of the three mornings The breakfast is apparently available until 9.30am but is removed bit by bit without any communication from 9 10am onwards.The young breakfast waitresses did not address the guests at all and left dirty plates on the tables until the customers had departed. A real shame as the content of the breakfast was varied and good. The hotel management have totally missed customer service requirements for the morning.A pleasant greeting at breakfast and a smile would have made this a five star review. Thank you so much for taking the time to evaluate your recent stay with us and for sharing your feedback. I'm glad to hear that you overall enjoyed your stay. Please accept my appology for the bad experience you had at breakfast. I have forward your feedback to our restaurant manager. I do hope that you will consider staying with us again. Warm Regards Johanna Almqvist, Reservations & Revenue. The hotel is very conveniently located right across the road from the station - so no need for waiting for a taxi or any other form of transport. It was a late arrival but the reception desk was manned by a very friendly and helpful representative who signed me in quickly and efficiently. The room was big but cozy, and the bed comfortable. The bathroom was sparkling clean. Breakfast was a big fabulous spread and then I was on my way again. If I'm back in Halmstad again (or if any of you are), I'd definitely stay here - the atmosphere is quite charming. Thank you so much for taking time to evaluate your recent stay with us and for sharing your feedback. I'm glad to hear that you enjoyed your stay and that everything was to your satisfaction. Our mission is make our guests feel at home and being your home away from home. Welcome back to Halmstad and to us. Warm Regards Johanna Almqvist, Reservations & Revenue. It is located right by the train station. It is an old hotel but cute and charming. Staff are very kind and helpful. Antique furniture are very well maintained and add nice aspect to the hotel. I am not sure who will come to Halmstad in March but if you have to be here you may want to stay here. Thank you so much for taking the time to evaluate your stay with us. I am so glad to hear that you enjoyed your stay with us and the everything was to your satisfaction. 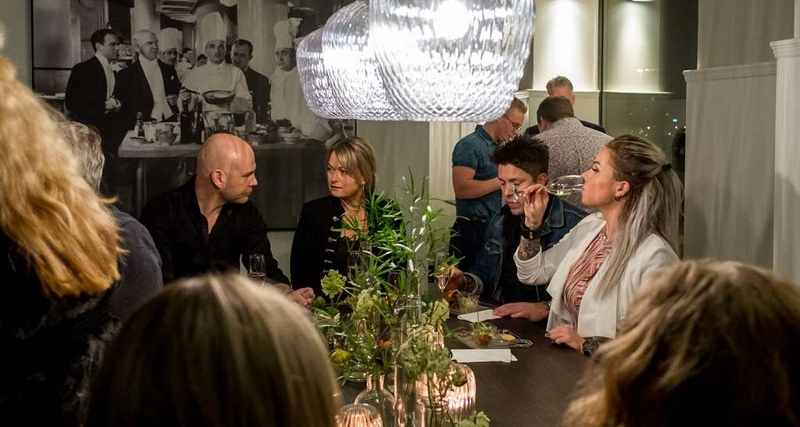 We hope to see you as our guest again, if you are returning to Halmstad. Warm Regards Johanna Almqvist, Reservations & Revenue. I had never been to Halmstad before. I wanted a hotel close the to train station but not too expensive. I booked it using Hotels.com. What I liked about this hotel is the old style -- rooms, hallways, lobby, and eating area. The window in the room opened up all the way. The breakfast is very typical Swedish breakfast -- good breads, cereals, cheeses, cold cuts, beverages and their inability to do eggs right (just have never eaten decent scrambled eggs anywhere in Sweden). The elevator entrance is one I am not familiar with -- a swinging door. The hotels is 3 blocks from the river and access to the city center. Thank you so much for taking time to evaluate your recent stay with us and for sharing your feedback. I'm glad to hear that you enjoyed your stay and that everything was to your satisfaction. Our mission is make our guests feel at home and being your home away from home. I am also glad to hear that you enjoyed our breakfast. I will make sure the kitchen and restaurant staff will get your feedback. We hope to see you as our guest again. Warm Regards Johanna Almqvist, Reservations & Revenue. This is the third time we stay at this hotel and we've enjoyed it every time! 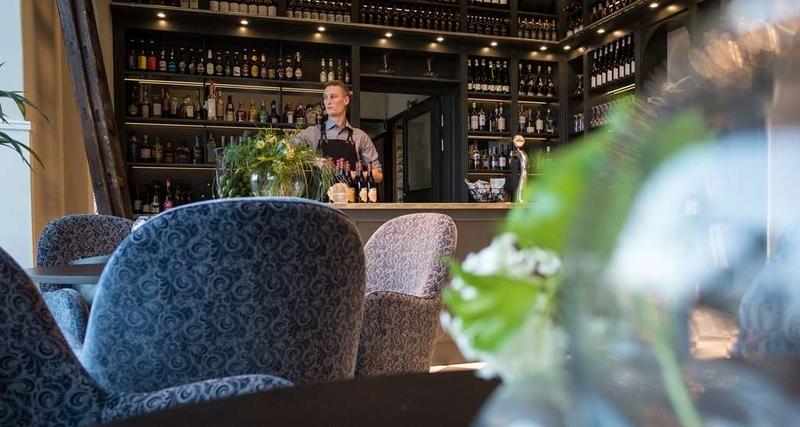 Fantastic staff that are very friendly and helpful with good tips on where to go in Halmstad. Only thing is that the rooms can be a bit small for a family of four, but it's not a major problem. Rooms are clean and neat and the breakfast great as well as the hotel restaurant. I liked the Flair of this (former) Grand Hotel, that has been modernized shure instinct to be modern without losing the athmosphere - i like that better than the typical anonymous modern hotels. But thats a matter of taste. Beside that, i found everything i expect of a good hotel: Good bed, fast Wifi, friendly staff, decent shower with both enough and hot water and really good breakfast buffet. That it tries to as sustainable as possible leads to not accepting cash (odd reason, but OK), not offering bottled water in the room, but carafes in the rooms plus fountains in the corridors (which i liked as, the typical tiny bottles mostly don't help if your really thirsty), is also a plus for me. That it is located opposite to the the train station is both advantage (short way for traveller) as disadvantage (well, a train station IS noisy), i did'nt bother. All in all one a clear recommendation. Thank you so much for taking the time to evaluate your stay vist us. I am so pleased to hear that you enjoyed your stay and that everything was to your satisfaction. We look forward to welcoming you back to Grand Hotel in the near future. Kind regards, Johanna Almqvist Reservations & Revenue. Thank you for your review, I am so pleased to hear that you enjoyed your stay with us and that everything was to your satisfaction. 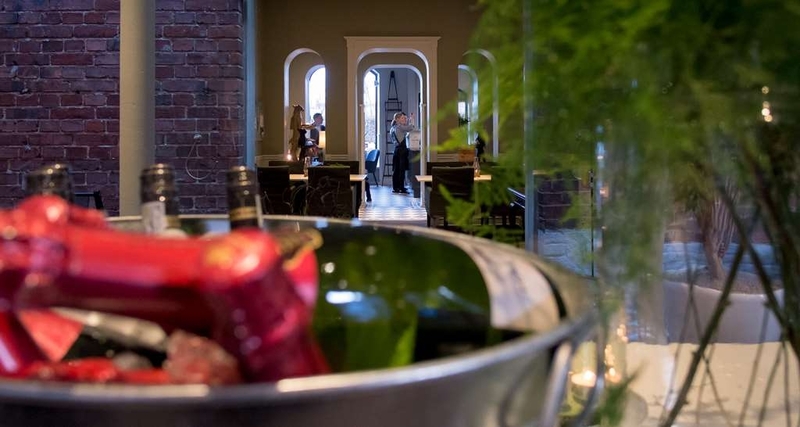 We look forward to welcoming you back to Grand Hotel very soon. Kind regards, Johanna Almqvist Reservations & Revenue. 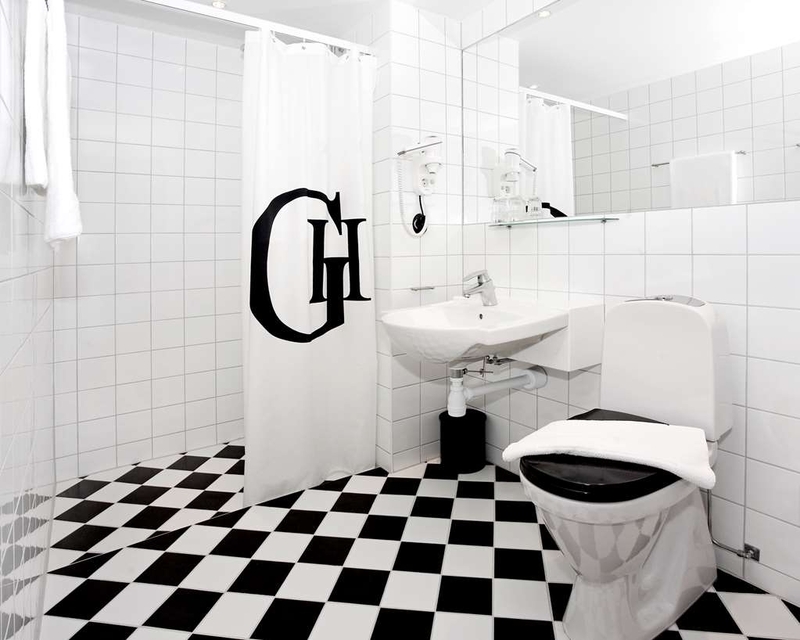 "Excellent hotel with great location in Halmstad"
Stayed for 2 nights in Halmstad at the Grand Hotel. I booked primarily because of location: very close to the train station, so I didn't need a taxi or have to push my bags through town. But still only 10-15 minute easy walk to center of Halmstad. I wasn't expecting the hotel to be as nice as it was, and for the staff to be so helpful and friendly. My room was updated and pleasant. Breakfast very good. Staff was very helpful with some local arrangements I needed to make. All in all a great experience, AND good value, which doesn't happen all that often. If I come back to Halmstad I will stay here. "Very nice stay for a 3 days golf trip with friends"
We booked a 2 nights golf package with 3 greenfees, breakfast and 2 course dinnners. This was a bargain. Food was really good for a package offer. Cosy bar, great terrasse and great staff only completed our experience. We will definately return, as the golf courses also were of great standard. "High standard and serviceminded staff "
The hotel is more than 100 years old and that classic style and atmosphere has been retained. Don't expect aircon in the rooms. Don't expect 50'' TV screens. But here's what to expect: 5 minutes walk to the city center and near a small park and a railway station and appx 20 min walk from the nearest beach. Friendly staff everywhere. Excellent breakfast that is being constantly refilled. Varied and fresh - you will not be disappointed (nearly guaranteed) Clean rooms of good standard. 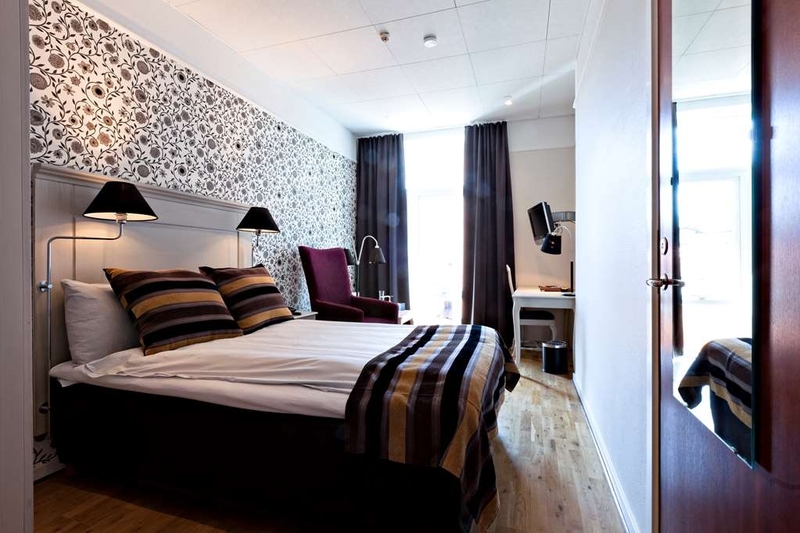 If I am going to Halmstad again this is where I will stay. Everything was good at this hotel. We stayed only for one night. Breakfast was really good and was open until 10:30. Check out was at 11:00. The room was small but in good shape, except for the temperature, it was too hot and no air condition. "Very Good Special Deal (Golf package)"
We were 5 couples on a golfing trip and received a very good offer from the Grand Hotel with an excellent combination of reasonable room prices and games of golf. Halmstad is a lovely town and the hotel very central. The staff were very friendly and helpful. We thought our room was a good size but our friends had even larger rooms. Parking is in a parking area just outside of the hotel but a fee has to be paid on weekdays. Our room was on the front of the hotel. It was very hot when we were there and with the windows open at night (no air conditioning) it was a bit noisy. "Hotel with pratical location and delicious breakfast"
Hotel has its charming traditional look. Clean and comportable room even though it was a bit small. It is located just across the railway station and close to the city center. We found the parkingplace just outside the hotel and it was free (we arrived after working hour). Breakfast was surprisingly delicious with variety of fresh breads, smoked salmon and fresh vagetables. One of the best breakfast that I have enjoyed at the hotels. 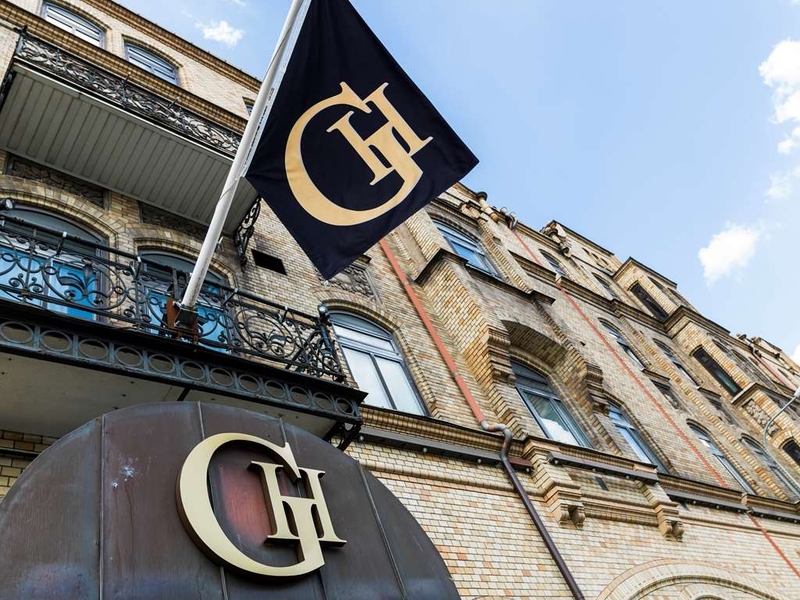 I spent 5 nights in the Grand Hotel Halmstad and I slept very well! The Hotel is really quiet and comfortable. Just in front of the train station and of the bus station, it's realy well situated. I'll go there again for sure! 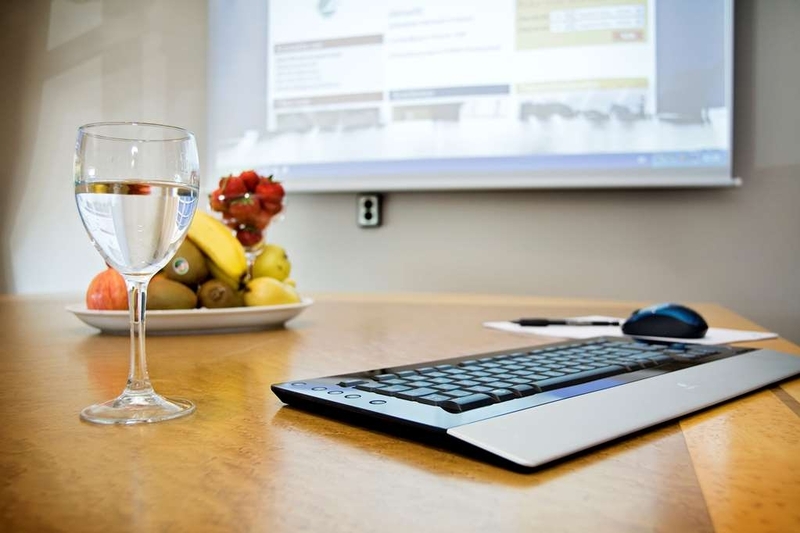 The hotel is conveniently situated, right in front of the train station and near the city center. Small but pleasant rooms. Tea, coffee and some snacks always guaranteed in the bar. Maybe not a real 4 stars hotel, but good in general. It is a beautiful hotel at walking distance of the center of town and by the riverside, the train station is right in front. It is a classical old building with wonderful details and nice furniture. The double rooms are very spacious and the beds are nice, the bathrooms are a bit small but good shower pressure. Great for a weekend of couples or as a one night stay. Will repeat. "Everything you need and close to the rail station"
I was quite charmed by the town of Halmstad, and the Best Western suited my needs while here on business very well. Walk a few blocks across the river for great shopping and restaurants, and pass by some interesting sculptures and a baobob tree. (Still trying to figure out how it got there.) Great full breakfast at the hotel, and an awesome tapas restaurant. So many choices it should be easy to eat there every night and not get board. There is a nice water dispenser near the elevator on each floor dispensing still and bubble water, that was a nice treat. Electrical outlets are not super convenient, but just unplug a lamp and you will be fine. I brought an external charger and rotated between that and the outlet for phones and other electronics. It was no problem. Staff is super sweet. Everyone in town speaks fluent English. I have found my home in Halmstad! Thank you so much for your kind words and for taking the time to evaluate your recent stay with us. 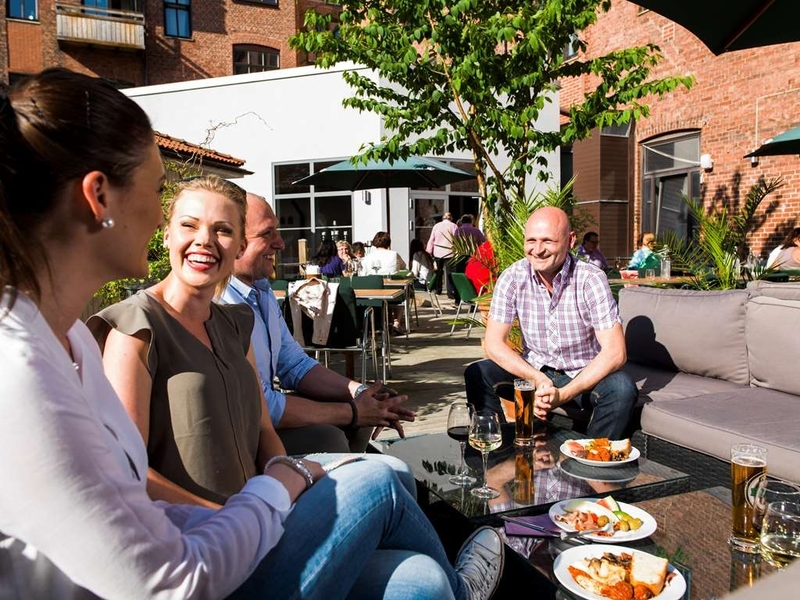 I'm glad to hear that you enjoyed your stay in Halmstad, and with us and that you have found home away from home. Welcome back. Warm Regards, Johanna Almqvist, Reservations & Revenue. Located opposite the station near town. Pleasant rooms if a little small. Staff efficient and pleasant. Had a quick meal in the bar which was good. The heated floor in the bathroom was lovely although the controls were a complete mystery to me! Thank you for taking the time to evaluate your recent stay with us. I'm glad to hear that you enjoyed your visit and that everything was to your satisfaction. Thank you for your feedback in regards to the control pannel for the floor heating in the bathrooms. I will ask our maintenance department to see if it could be simplyfied in any way. Warm Regards Johanna Almqvist, Reservations & Revenue. "Great Food, located right at the train station"
Room was fine, clean and warm. Hotel had very central location, right at train station, just off the river. Food in the restaurant was very, very good. Staff very pleasant, I stayed one night only, but would go back. Thank you for your kind words and for taking the time to evaluate your recent stay with us. I am glad to hear that you enjoyed your stay and that everything was yo your satisfaction. Wishing you a lovley weekend. Warm Regards Johanna Almqvist, Reservations & Revenue. 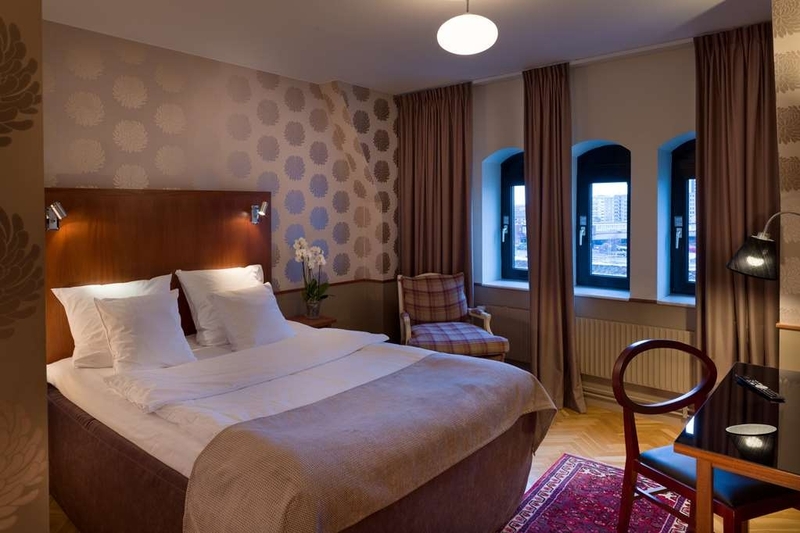 A hotell that is very close to city center, and even closer to the railway-station. It has a long history. However, it has been updated, so the rooms and the connected restaurant is modern and up to date. "Great location. Nice rooms. Not for vegans. " The location is great. 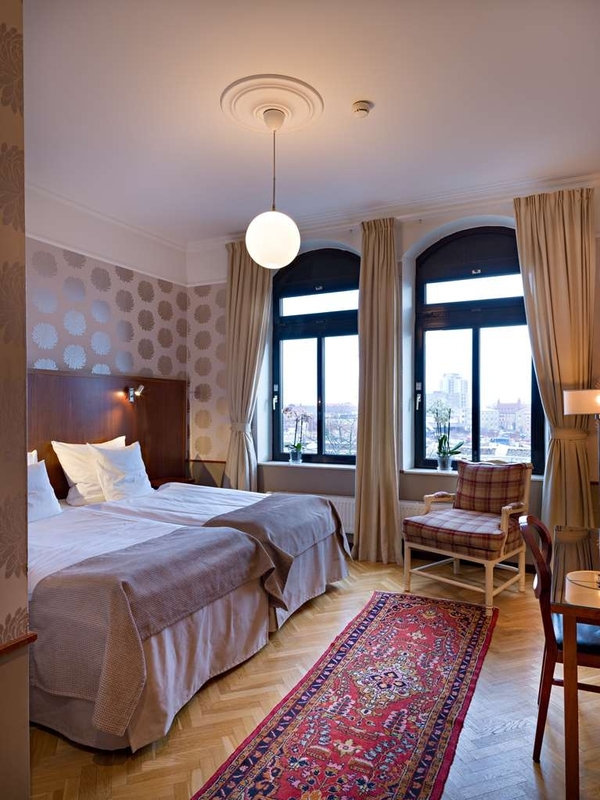 Right by the train station and a 10 min walk to the city center. There's a parking lot right across the street. The rooms seemed to have been remodeled rather recently. The beds were excellent and the single room was decent size. Only negative aspect was that the breakfast could neither offer gluten free nor vegan options. . Strange considering the 4 star standard. Varmt tack för att du tagit dig tid att skriva ned dina tankar om din vistelse hos oss. Det gläder mig att höra att du trivts hos oss och att det mesta varit till belåtenhet. Gällande frukosten är det väldigt tråkigt att höra att du inte hittade det du sökte. Vi har både glutenfritt bröd, glutenfritt knäckebröd och müsli. För veganer finns bland annat detta på vår buffé, frallor, frukt och nötter, hemmagjord nutella, hemmagjord müsli, soya yougurt och soya mjölk, smothies, hemmagjord granola, torka gojibär, blåbär och aprikoser, fruktsallad med valnötter, katrinplommen och apelsin mm. Vid förfrågan gör vi dessutom havregrynsgröt. Det är tråkigt att höra att vi inte levde upp till era förväntningar men hoppas ni ger oss en andra chans. Vi hoppas få se er som gäster igen nästa gång ni besöker Halmstad. Med önskan om en trevlig jul och nyårshelg. Johanna Almqvist Reservations/Revenue. "continues to tick all our boxes." Comfortable with friendly staff, good rooms and good food. So ideal for train travel being across the road from the station - and only a short walk to the Town Square. A relaxing hotel that is fairly priced. Thank you for your kind words and positive feedback. I am glad to hear that you enjoyed your stay with us and that everything was to your satisfaction. Welcome back to Halmstad and to Grand Hotel. Warm Regards Johanna Almqvist, Reservations & Revenue. Hotel literally across the road from the central train station which is great when travelling in on business to Halmstad. Friendly staff were eager to help, rooms are small but just what's needed for a business trip.. Breakfast was really good with a lot of choice and fresh! Thank you for your positive feedback. I am glad to hear that you enjoyed your stay with us and that everything was to your satisfaction. Welcome back to Halmstad and to Grand Hotel. Warm Regards Johanna Almqvist, Reservations & Revenue. "Nice hotel, close to the railway station"
The hotel was built more than 100 years ago. In spite of that it's modern and offers nice rooms. It's situated close to the railway station. A stay here will be comfortable. 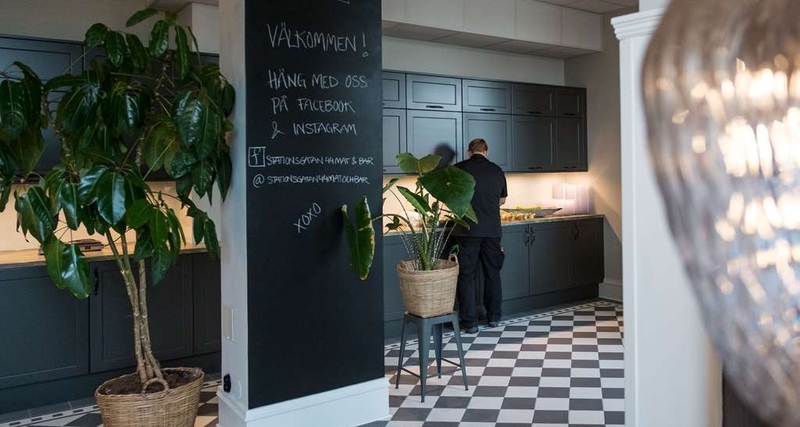 I recommend the hotel but at the same time, you can find other hotels in Halmstad with the same standard with also a little bit more modern shape. Let the price decide for you! "Tiny (very tiny) rooms & no AC"
The hotel itself is not bad at all. I would even say it is a nice place to stay. The breakfast is very good and the location is ok. Within 20 minutes you are downtown and if you arrive by train it is extremely convenient opposite to the train station. However, there are two concerns that I have: the rooms are so extremely small that it is hard to unfold yourself and there is no air condition.